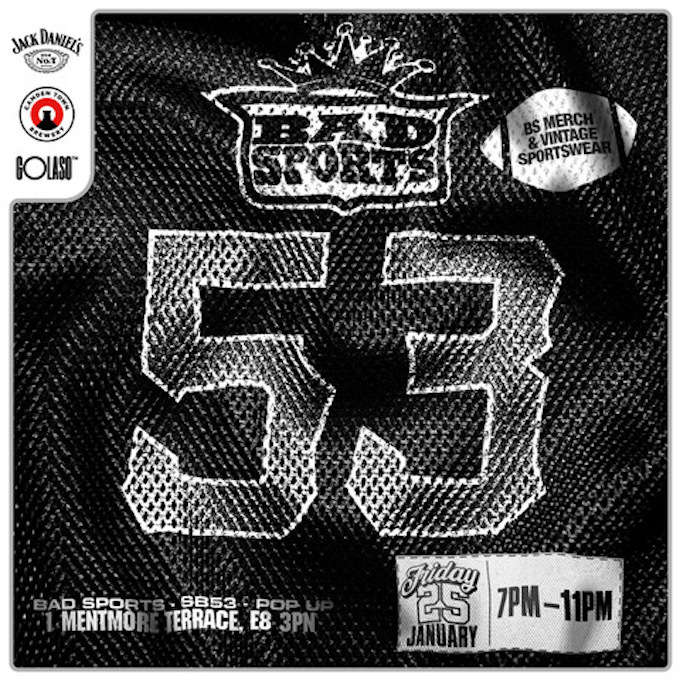 Nobody loves the Super Bowl quite like Bad Sports, and to celebrate the colossal sporting event, they’re hosting a pop-up space on Mentmore Terrace near London Fields, selling the bespoke Golaso x Bad Sports Jersey alongside other American sporting paraphernalia, which will culminate with the annual Bad Sports screening party taking place at Mare Street Market this Sunday. 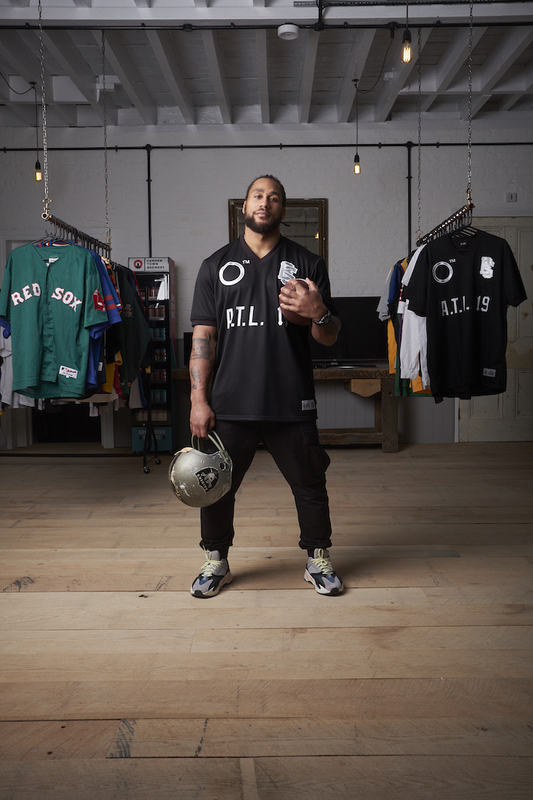 To truly tap into the Super Bowl spirit, we linked up with Bad Sports founder Dom Prosser and London Blitz linebacker “Bish” to chat about the UK’s growing obsession with NFL; ranging from their personal experiences with the sport, to who they’ll be rooting for this weekend. 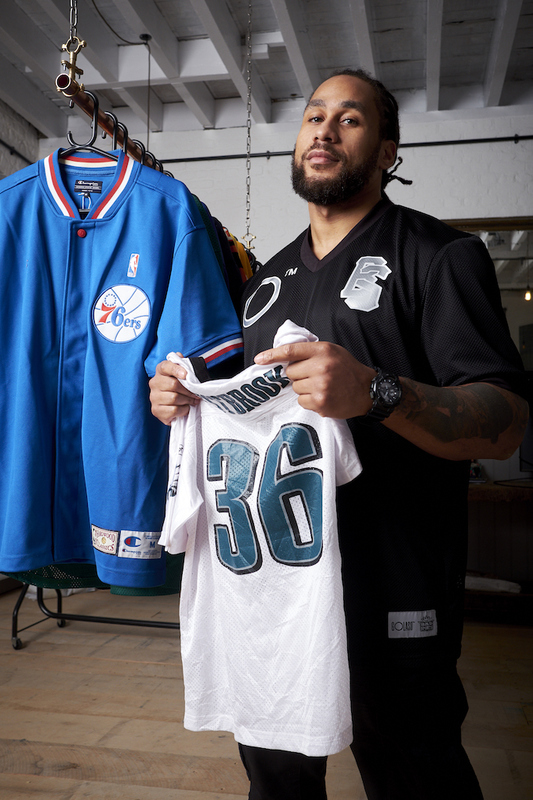 Check our shots from the meeting below, featuring Bad Sports’ very own jersey, which launches at the pop-up this Wednesday. TDD: Which is the first Super Bowl you remember? Dom: That would’ve been in the ’90s sometime but the first Super Bowl teams that interested me were the ’85 Bears and the ’86 Giants. They were full of characters. The Bears had Jim MacMahon, Walter Peyton and recorded the Super Bowl shuffle BEFORE they made the Super Bowl. The Giants had Lawrence Taylor who was a beast. Both teams were full of fun guys that had a good time and played tough football. Bish: The first I ever remember watching was the 2006 Steelers-Seahawks game where Hines Ward went off on one. This was right before I started playing the game, so I didn’t even know the rules at this point, just that it was insane and poetically violent. That being said, as an Eagles fan, every event before last year’s Super Bowl 52, is just a blur. That was the best game I’ve watched in my life and for us to come out on top in the way that we did was like icing on the cake. 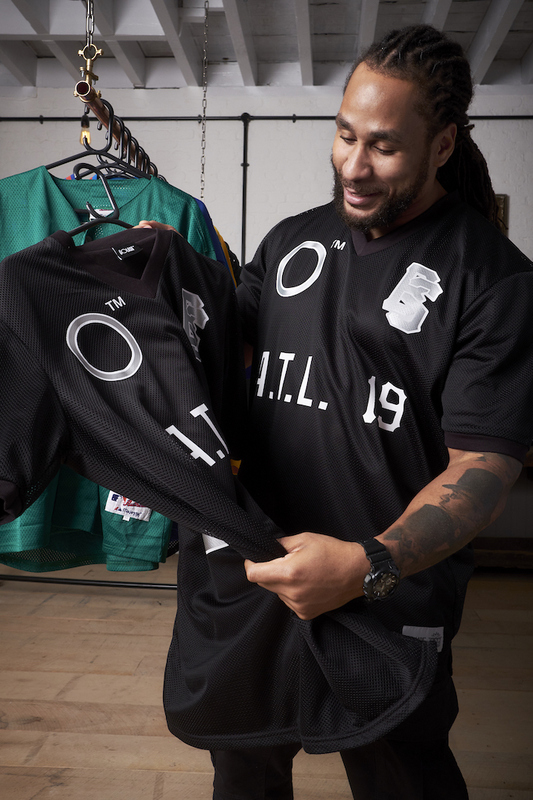 TDD: Which is the iconic jersey to you? Dom: Personally I love the Barry Sanders 20 Lions jersey because I’m a Lions fan and he’s the greatest running back in history. The NFL is about stats and records and accomplishments. Barry never won anything with the Lions as a team but he won every running record you could as an individual. In his heyday, he was magnificent. In terms of looks and impact outside of football, it’s gotta be the LA Raiders of the ’90s. NWA used that jersey and it’s connotations to their fullest advantage. It didn’t hurt that the Raiders line-up during the ’80s was full of crazy characters like Lyle Alzado and coached by Al “Just Win Baby” Davis. Bish: For me, it’s the Eagles Kelly Green jersey of the ’80s, with the dope retro Eagles logo, made famous by a long list of Hall of Famers, including the great Randall Cunningham. Give me his 1985 draft year Kelly Green jersey matched up with the Jordan 1 Retro Hi OG Pine Green and I’m set. 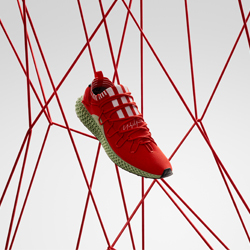 TDD: Who will you be rooting for during Super Bowl 53 this Sunday night? Dom: The 53rd Super Bowl is a bit of a bummer because it should be Chiefs vs. Saints. Mahomes is the Chiefs QB (quarterback) and he’s the new kid, versus the Saints QB Drew Brees, who is an old gunslinger. But both teams blew it In the playoffs and there was some very poor refereeing so it’s Patriots vs. Rams. The Pats are gonna win. It’s all a bit inevitable. The Pats are undoubtedly the best team of the last two decades and they always seem to get there in the end but I can’t stand them or their coach Bill Belichick. The Rams are coached by a very exciting young guy called Sean McVay who’s only 32! I hope and pray for an upset. No matter the result cus we always have a raucous Super Bowl party and this year is no exception. 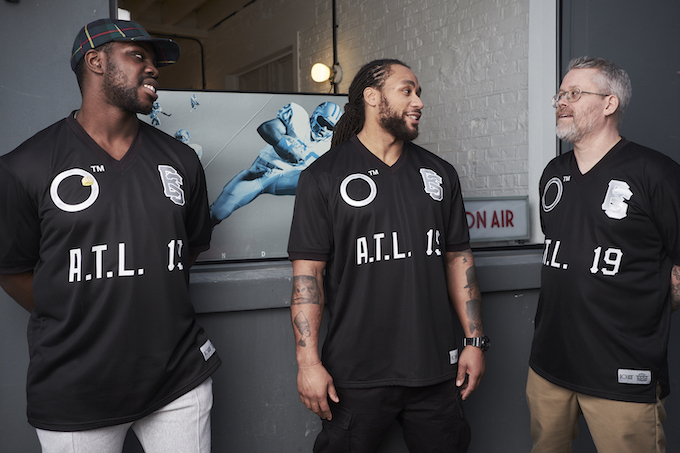 Martelo and Al Morris are DJing Atlanta rap all night long because the games in the ATL and we’ll be celebrating no matter who wins. I love the Super Bowl. It’s incredible how often the league manages to build drama at the last minute in the biggest game of the season. Bish: It has to be the Rams. I went to University in Massachusetts, and so I can appreciate the love and adoration for Brady and the Pats, those fans go hard. 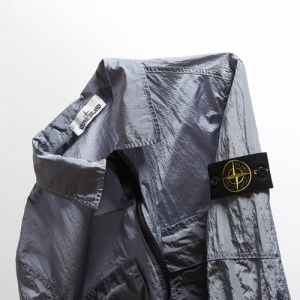 But I think it’s about time for a changing of the guard. I love what the Rams have done, I’m a huge fan of how they run the ball. I think Goff is legit, but what I love most is how Sean McVay has transformed that programme. The man is only two years older than me and is going to be the youngest coach in Super Bowl history, and maybe one of the best. Makes you reflect on your own accomplishments or lack thereof. 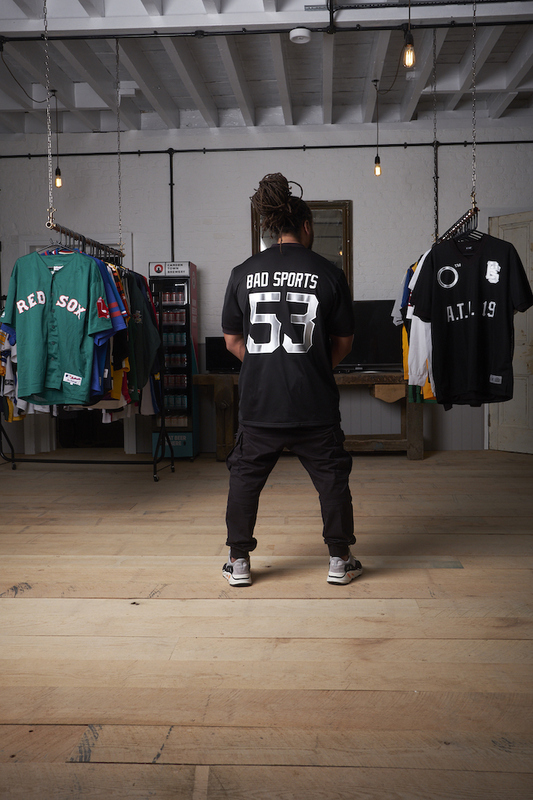 The GOLASO X BAD SPORTS JERSEY drops on WEDNESDAY 30 JANUARY at the BAD SPORTS POP UP, 1 MENTMORE TERRACE followed by the annual BAD SPORTS SUPER BOWL party at MARE STREET MARKET on SUNDAY 3 FEBRUARY. Hit the banner below to pick up tickets today.